Measure temperature in your thermal processes up to 1300°C with a small thermocouple logger. 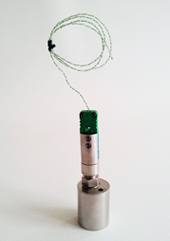 NanoVACQ Th is a cylindrical logger with one to three thermocouple channels. 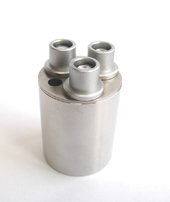 With its small diameter, its measurement range up to 1300°C and its operating range up to 140°C, it is a solution specially designed for thermal processes requiring temperature measurement in industrial environment and quick response time. A thermal shield adapted to the application can be used for temperatures beyond 140°C. Pt1000 for cold junction and internal temperature. Thermocouples according to customer specifications. Pt1000 for cold junction and internal temperature. 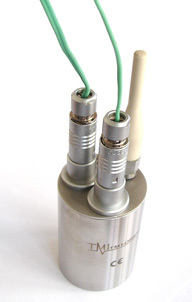 Cylindrical or miniature connector available. 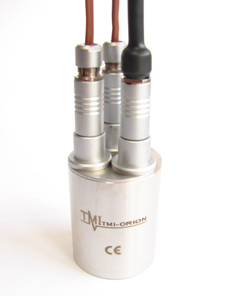 Thermocouples according to customer specifications. Radio option available. Moreover, associated with a control loop system, it allows a real time process control.